Lacing It Up: This New Style Is Flirty, Feminine & SO Pretty! A year ago, if someone said “lace-ups”, we’d immediately think shoes. But you’d be surprised to know that lace-ups can actually refer to dresses, tops, jeans and even bags. 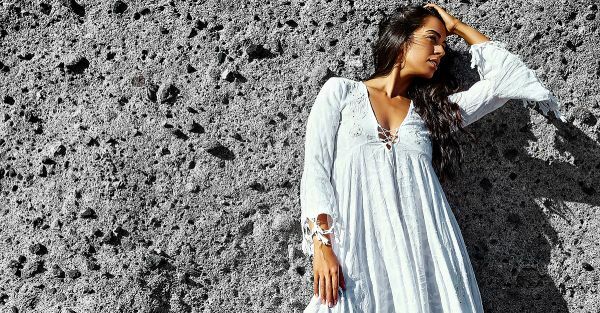 Inspired by the ‘70s (that’s probably why we millennials haven’t heard of this trend), dresses, tops and jeans with lace-up details add a touch of retro glamour to your look. This trend is totally on fleek this season. The best part is you can get your fix of this fabulous new trend with your favourite brands. AND they’re all affordable. POPxo Recommends: Tiered Strappy Back Maxi (Rs. 1,695) Got a toned back to flaunt but too shy to carry off something too revealing? Pick a maxi that covers everything except the part you want to flaunt - your back. The lace-up detail adds a touch of cool to this dress and the colour is perfect for an evening out. POPxo Recommends: Lace Up Ballerinas (Rs. 3,112) These comfy flats can lace up at your ankles or can go as high up as your calves and they pair well with dresses, shorts and skirts. Kim Kardashian’s favourite way to give her look a lift! Gladiators and lace-up flats are accessories you need to own now! POPxo Recommends: Misty Top (Rs. 799) Basic white tops get a spin this season with lace-up details on the collar. Reminiscent of the milk maidens from the 18th century, this white top can be paired with a basic black or blue pair of jeans. POPxo Recommends: Canvas Sling Bag (Rs. 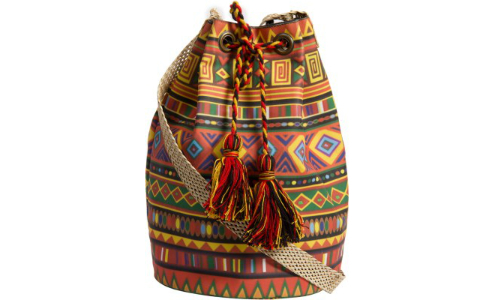 899) Nothing defines the free-spirited nature of a boho woman like a printed bucket bag with tassels. The laces of this bucket bag tie up into a pretty tasseled knot. Carry this with a plain jersey dress and a pair of comfy plimsolls and you’re totally ready to make heads turn in college. Featured image: Shutterstock HAVE A STORY IDEA FOR POPxo? If you want to hear about it, we can write about it! Just tell us your idea here! MUST-READ: Trend Alert: Leggings, Jeggings And Now… Treggings!! MUST-READ: #TrendAlert: Wearing A Shirt Back To Front – Would *You* Dare? !